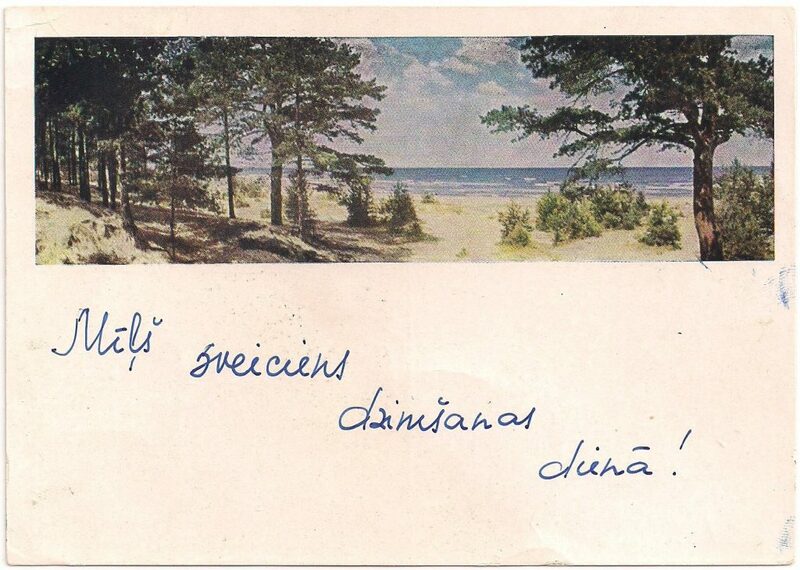 Card, issued August 5, 1964. 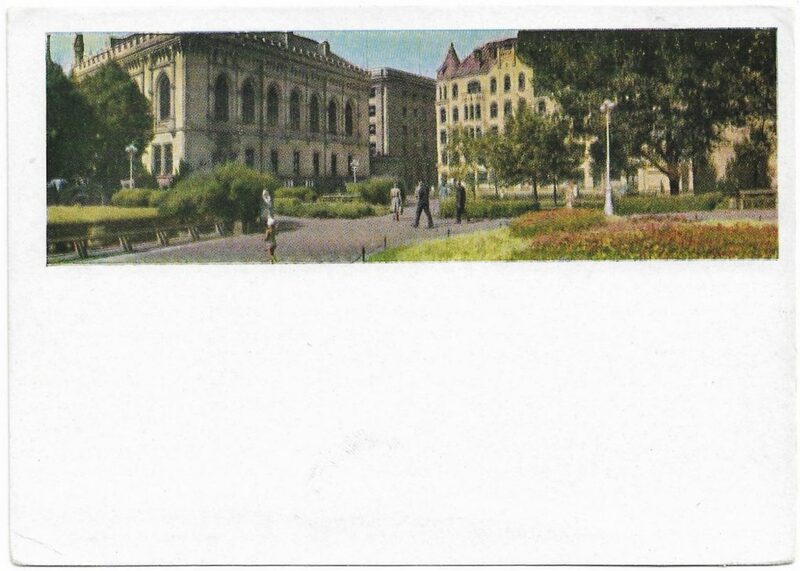 Card, issued August 31, 1964. 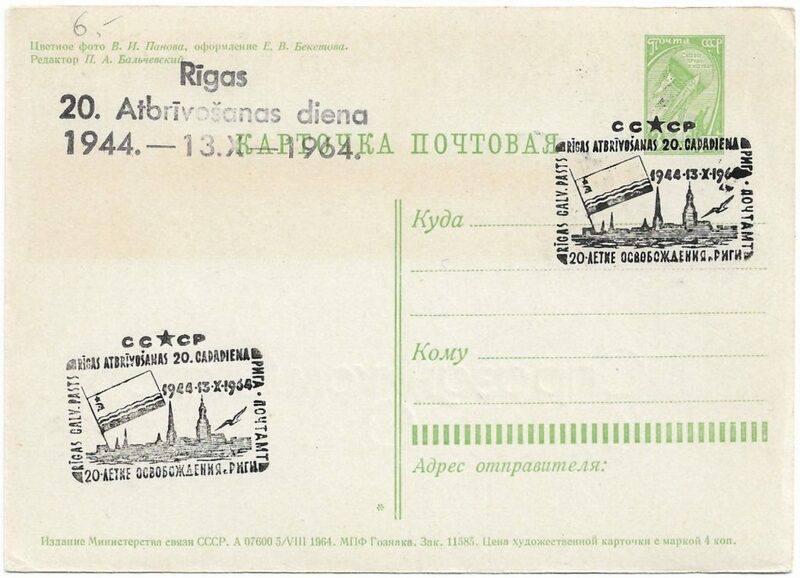 Printed stamp is clearly type I Letterpress (lines on background and moon with greater distance from each other). 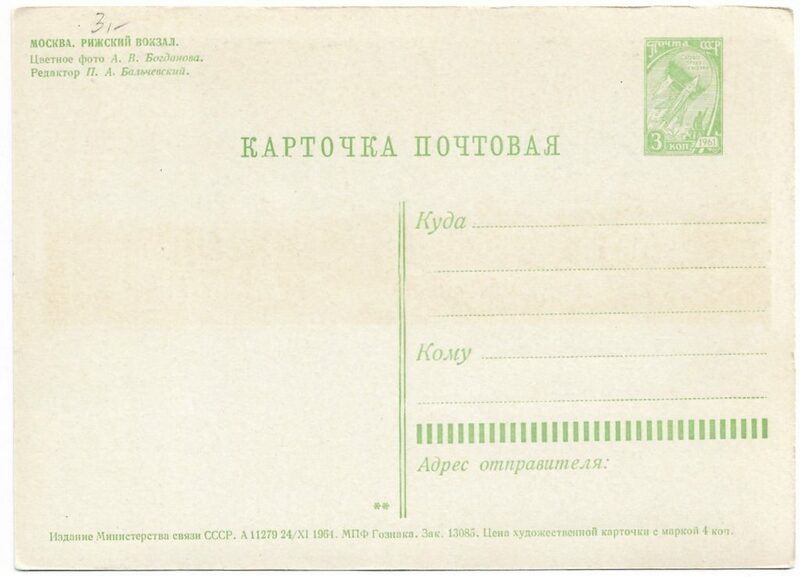 No state arms on the address side, double dividing line between message and address data and the abbreviation МПФ ГОЗНАКА is used for printing house. On the right side 34 vertical bars. In MGK: P 282-287. 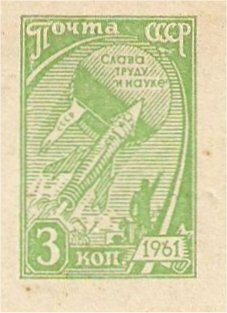 Stamp type I, card green / white: P 282. Card, issued November 10, 1964. 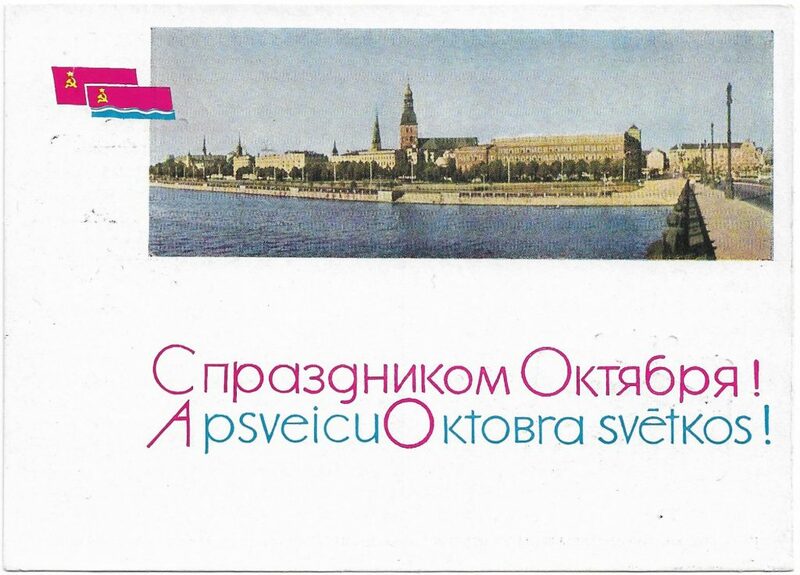 THis card is – I suppose ‘official’by the post office- additional franked with 1 kopeck. 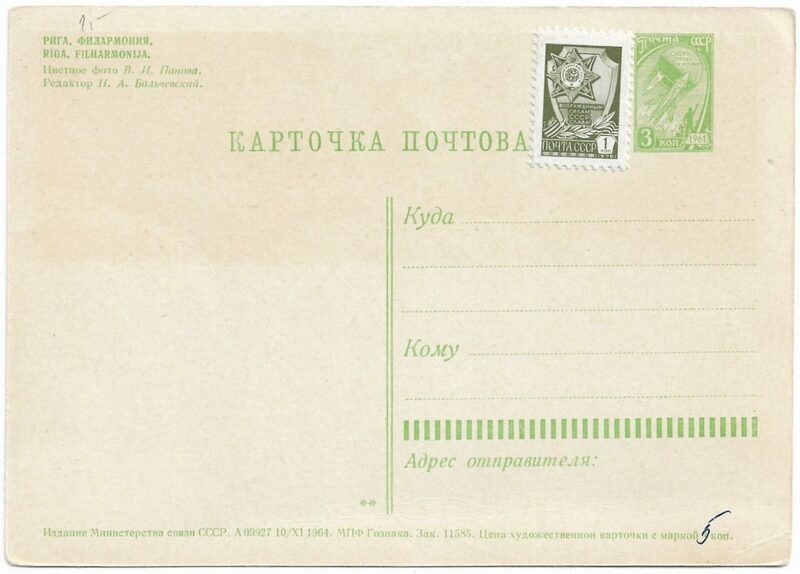 From 1 February 1983 the rate of a domestic postcard was increased from 3 to 4 kopecks. 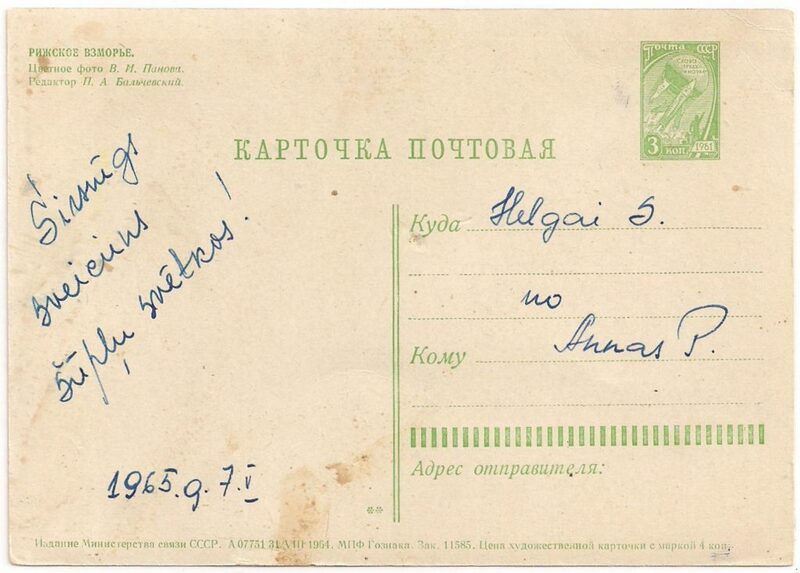 The indication ЦЕНА ХУДОЖЕСТВЕННОЙ КАРТОЧКИ С МАРКОЙ means: price of artistic card with imprinted stamp. The price of the card in the print data has been manually changed from 4 to 5 kopecks. 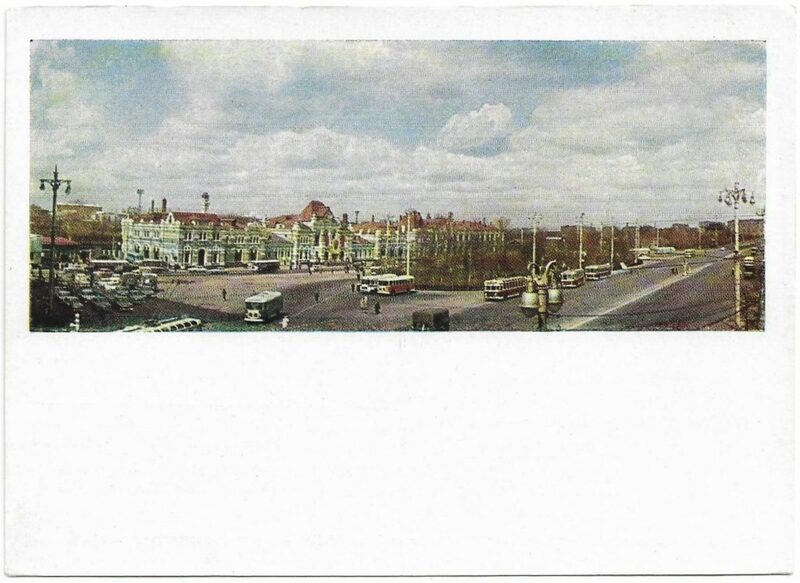 Card, issued November 24, 1964.